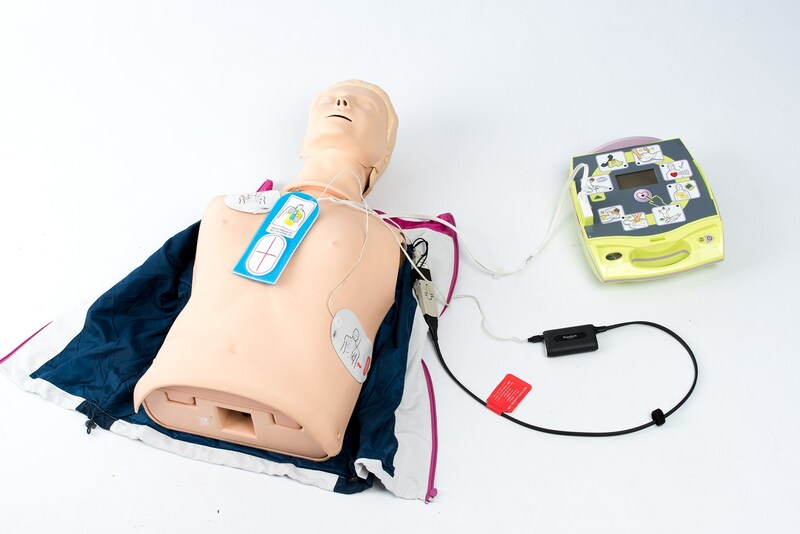 Below are instructions to help you connect ShockLink to the following ZOLL X Series, Propaq Series, AED Pro, AED Plus, and R Series defibrillators. A ZOLL electrode adaptor is needed to insert ShockLink into a ZOLL defibrillator cable. In this set up, ShockLink features can be used in the normal way and the full feature set can be utilised when Resusci Anne QCPR and SimPad SkillReporter is used. Start by inserting ZOLL training pads into the defibrillator and ShockLink into the plug on the ZOLL training pad's lead, using the ZOLL electrode adaptor. As shown in the image. We have used ZOLL CPR-D-padz Demo pads in our example set up. You can now choose which training pads you would actually like to use on the manikin. 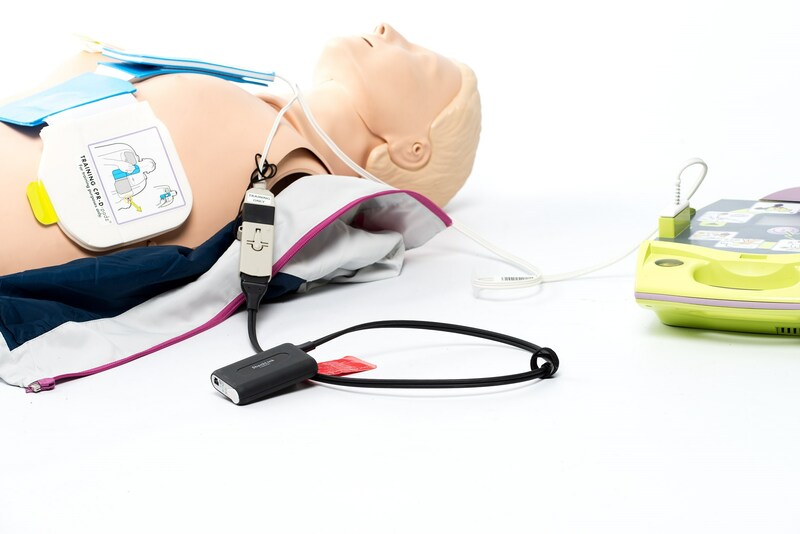 By choosing to use Laerdal training pads you will be able to use ShockLink features in the normal way and the full feature set can be utilised when Resusci Anne QCPR and SimPad SkillReporter is used. The Laerdal training pads need to be connected to the ShockLink that was inserted into the ZOLL training pads. As shown in the image below, when connecting ShockLink to the ZOLL CPR-D-padz Demo pads, the electrodes can be detached from the compression measurement sensor. If you choose to use the ZOLL training pads, correct pad placement can't be detected and such events will not be logged to SimPad SkillReporter. ShockLink will allow for simulated heart rhythms to be displayed on the monitor and for an instructor to prompt changes to these rhythms, by using the remote or the app. No training pads need to be inserted into ShockLink in this set up, as shown below.